Strange things are happening all over the world. By night, plastic dinosaurs are creeping out of their toy boxes, shaking off their polite demeanors, and getting up to mischief. 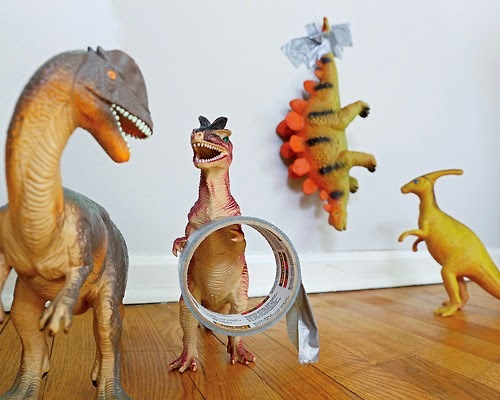 No one knows how long this has been going on, but in 2012 Refe and Susan Tuma first noticed and started documenting online the shenanigans that their herd of plastic dinos were getting up to. By the autumn of 2013, reports were coming in from all over the world. Dinovember had arrived and cheeky plastic dinos were taking the world by storm. 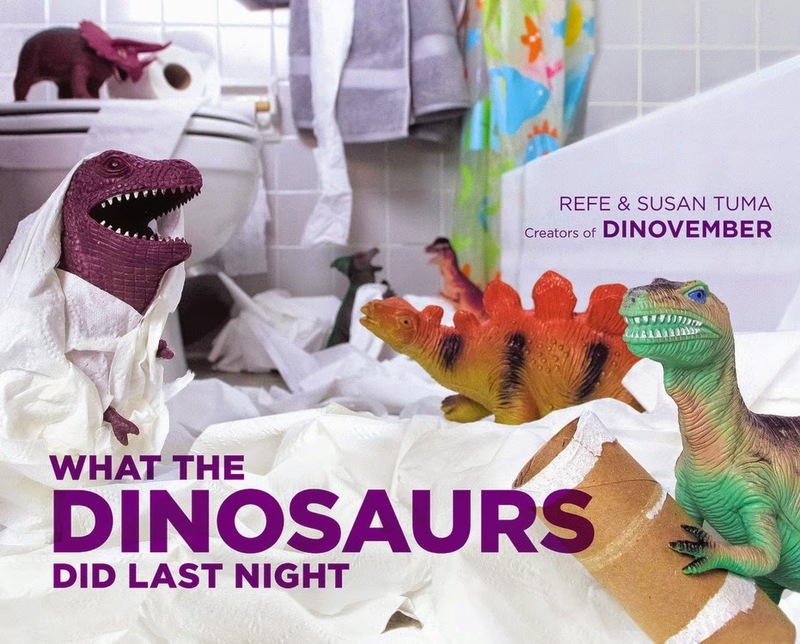 By the 2014 launch of Refe and Susan Tuma's What the Dinosaurs Did Last Night, children all over the world were waking up each day in November to see what mischief had been wrought during the night. 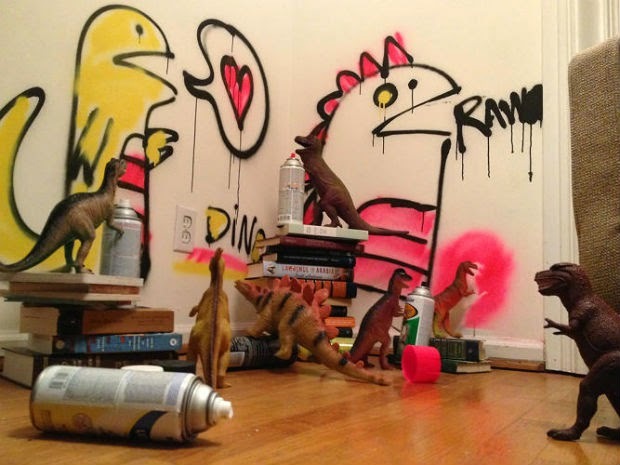 Facebook feeds and Pinterest boards were deluged with dinotastic destruction. One couldn't go on social media without seeing a T. rex stealing Halloween candy, a diplodicus devastating a birthday cake, or a triceratops tangled up in toilet paper, all aggregated under the tag #Dinovember. What the Dinosaurs Did Last Night is an excellent way to bring a bit of wonder, mystery, and joy to your child during the late autumn. This book will give you lots of inspiration for what your herd of naughty raptors can get up to next November.